Whatever happened to 21 Jump Street? I used to dig that show! Now Johnny's off playing pirates and we've got every other kind of cop show on the telly - but no teen cops? How can folks miss this gap? 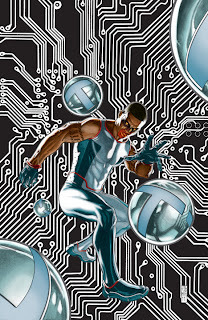 Well so you don't miss some of the best books launching from DC'S 52 title reboot, I'm going to play DC 52 Wall Street. Here, I'll try to predict the must reads from DC's new stock, right the way through to those who might get lost in the hussle and bussle. With only 5% of the named releases aloud in the top picks at anyone time, you can even play along at home - just like the real thing! WONDER WOMAN #1 Pulp writer Brian Azzarello, taking on the mythology of Wonder Woman? Now this I have to see. Art, Cliff Chiang. JUSTICE LEAGUE #1 Want to see a wallet open with two words? 'Geoff' and 'Lee'. GREEN LANTERN CORPS #1 When Peter J. Tomasi last wrote this title it was my book of '09. Big scale ideas with heart, and now he's back with Guy and John Stewart for an encore. Art, Fernando Pasarin and Scott Hanna. 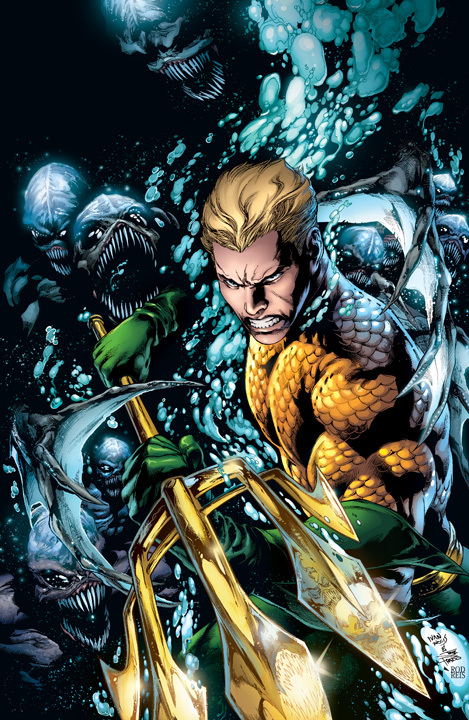 AQUAMAN #1 Geoff Johns and artist Ivan Reis did Green Lantern, Blackest Night, now Aquaman. While it will sell just as hot, you've got to wonder if DC start a title brainstorm by looking at the colour wheel. THE FLASH #1 Francis Manapul wants to prove his hands and mind move faster than those of The Flash, so he's now writer and artist, aided by Brian Buccellato. 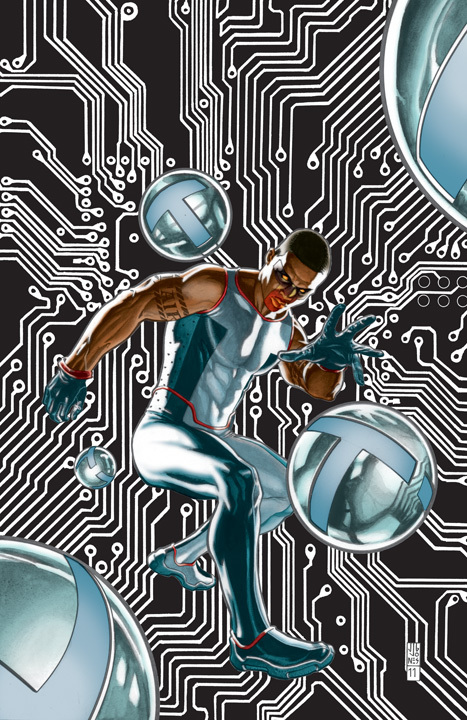 MISTER TERRIFIC #1 I've waited for this since Geoff introduced the new Mr Terrific in the pages of JSA! Brains vs crazy science by writer, Eric Wallace and artist, Roger Robinson. DC UNIVERSE PRESENTS #1 Thank God we have the return of a budget and fan-friendly anthology, where the best gather to tell various DCU stories. First up Deadman by Paul Jenkins and Bernard Chang. GREEN LANTERN #1 Previous G.L. crew Geoff Johns and Doug Mahnke are back - and they're bringing change with them. Wonder what oath that has? 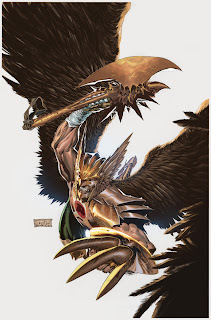 THE SAVAGE HAWKMAN #1. My top character/ creative match-up yet; Carter Hall/ Hawkman with artist Philip Tan. Just look at the picture - I might even need to get two copies! Writer, Tony Daniel. RED LANTERNS #1 Two savage titles in a row? So long heroic Brightest Day! At least we know with Ed Benes and Rob Hunter on art, the judge, jury and executioners are going to be drafting a lot more female rage in the months ahead. Writer, Peter Milligan. THE FURY OF FIRESTORM #1. Seeing artist Yildiray Cinar here, makes me worry about who's taking over Legion of Superheroes. If it's in the nuclear interest of great Firestorm stories, I'm still a happy camper. Writers, Ethan Van Sciver and Gail Simone. JUSTICE LEAGUE INTERNATIONAL #1 I love anything Dan Jurgens touches (half-eaten sandwiches not included - unless they include pickle). 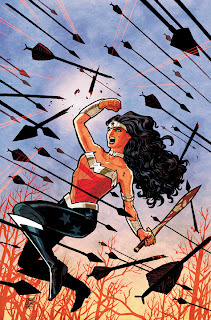 Here he's not only writing Booster Gold, Vixen and Batman, he's got other international do-gooders, drawn by amazing x-Wonder Woman artist Aaron Lopresti. GREEN LANTERN: THE NEW GUARDIANS #1 Kyle Rayner leads the U.N of ring bearers, the New Guardians. What colour would your country be? Writer Tony Bedard. CAPTAIN ATOM #1 Here's a guy I would like to do well, but might get lost in the chain reaction of 52 releases. Captain Atom is a god, but is he a man at heart? Writer JT Krul and artist Freddie Williams II dare to ask. 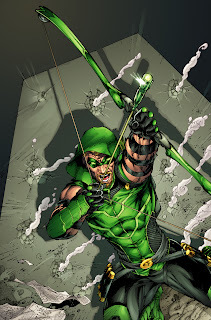 GREEN ARROW #1 I still remember how well Jurgens drew G.A. in Zero Hour (does that make me old?). While he's the best thing about Smallville, getting Oliver's perspective right is the true test of any Green Arrow #1. Dan's art gives you incentive to see JT Krul pull the write arrow from his quiver to do it. Interesting, I think Hawkman has replaced Aquaman on the "mort" list. Not deserved, but I think that's why they're calling the book "Savage Hawkman" and bad-assing him up. I agree on both points too Rob - hopefully Hawkman isn't made to 'Conan with wings'. Part of what drew me to the character as a kid was that he worked in a museum with all the dinosaur bones and stuff, then combined our prehistoric weapons with Thanagar tech to take it to the bad guys! I am so excited about JLI!!!! I'm dashing to my closet to reread all of my old copies right now. There's not enough Booster Gold in the world.